The Albrechtsburg is a Late Gothic castle that dominates the town centre of Meissen in the German state of Saxony. 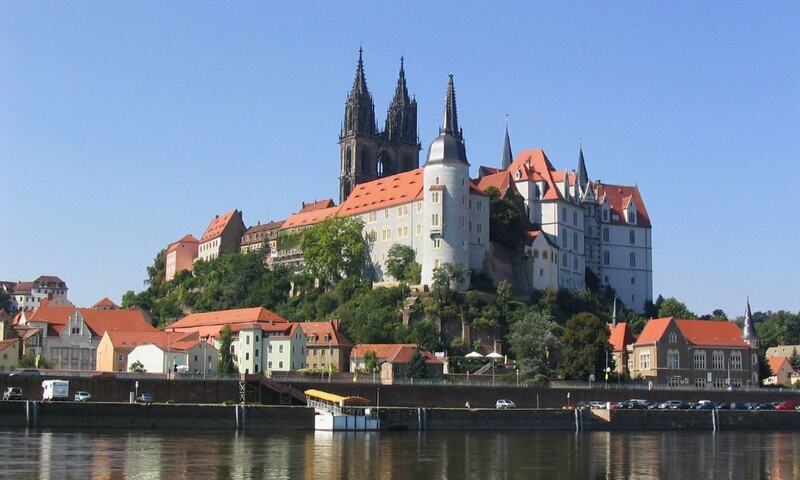 It stands on a hill above the river Elbe, adjacent to the Meissen Cathedral. In 1710 King Augustus II the Strong established the Royal-Polish and Electoral-Saxon Porcelain Manufactory at the castle, which was the first European hard-paste porcelain manufacture. Meissen porcelain was produced at the Albrechtsburg until manufacturing moved to its present location in 1863.